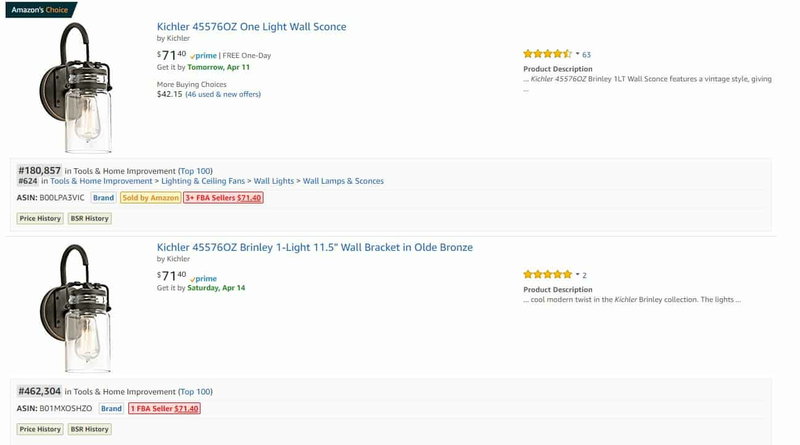 Should I Merge Duplicate Listings on Amazon? How Do I Merge Duplicate Listings in Seller Central? The answer to this question, should I merge duplicate listings on Amazon, depends upon your relationship to these listings. Duplicate listings come about for various reasons. Sometimes other retailers load their own UPC codes, and duplicate the data on purpose – to achieve 100% buy box potential. This is of course against Amazon terms and conditions, but it happens. Other times retailers will list their items under a different brand, again against Amazon terms and conditions but it happens. In less nefarious instances, listings can get duplicated for a variety of corrupt or bad data instances. Watch this video to walk through the quandary of duplicate listings. So should you merge the listings? Yes. 100% of the time. No questions. That’s because a single listing will have a higher BSR (ranking) on Amazon and generate more exposure and sales. Same answer as manufacturer. Unless you allow white labeling. Often wholesalers will avoid managing MAP and just let the listings chaoticly exist to avoid the effort of crowd control. But same benefits apply here. Depends. If both listings are clean, and there are no MAP issues, you should consider it. However, if you’re the only prime seller on your listing, and your BSR is higher, and there are prime sellers on the other listing, there is no net benefit to you as a retailer to merge it. Often retailers will negotiate with manufacturers to go about these mergers despite this, to gain other benefits such as limiting the # of FBA partners they engage with, or inside discounts. So if you are a retailer with a tight relationship with the manufacturer you can consider this measure. How do I know if there are duplicate listings? My tool of choice is Scan Power. There are many tools out there to consider. But whatever tool you use – you upload a simple UPC list. The tool crawls the UPCs across Amazon, and spits out an excel sheet for you to comb through. From the Scan Power, or other tool download, Highlight duplicate UPCs in the UPC column, and determine the highest ranking ASIN. Open Seller Central and file a ticket to merge the listings. You can in fact change your Seller Central Amazon Seller Name. You can even change the business legal name and tax ID structure. Make sure you are logged in as the main account admin holder so you have privileges to make changes. Hit edit on on store details. Must be done for each country sold in. If you need help making this change you can hire me for an hour and I would be happy to assist you. 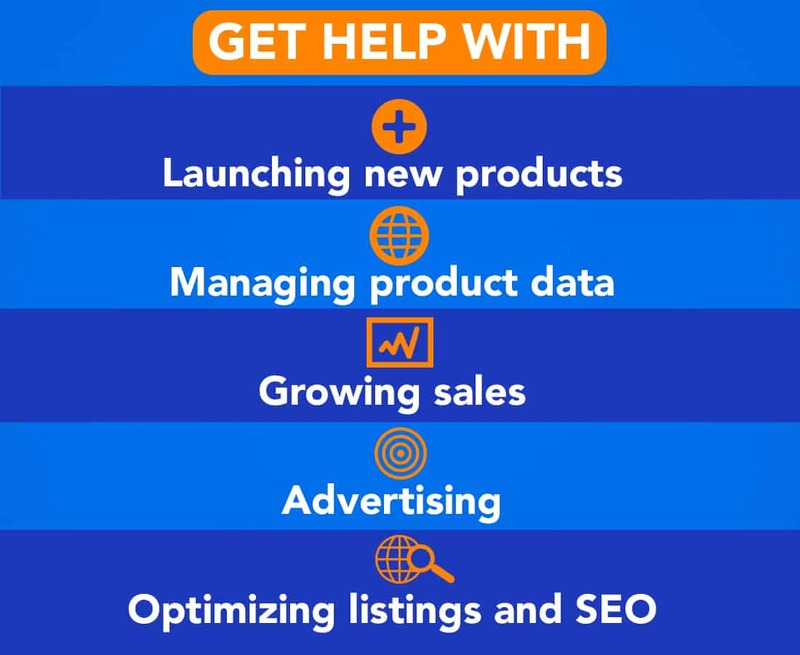 I also specialize in helping wholesalers & manufacturers launch on Amazon for the first time, as well as help current sellers scale their programs through advertising, listing optimization, and product launches.